So we're back again to help you choose the best distance learning MBA university in India. Today we're going to publish a ranking based on the feedback that we receive from our blog viewers about various distance learning MBA courses in India. This is an unofficial distance learning MBA ranking and its just to give you an idea about the top performing distance learning MBA programs. There are various factors to be considered while we prepare a distance learning MBA ranking & some of them are Institution or University reach in India, Technology they use, UGC-DEB Affiliation, Students satisfaction, Placement, Popularity among youth, Fee, Previous ranking. 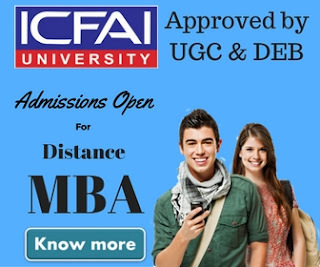 When we talk about distance learning MBA in India there are few obvious names that comes to our mind & some times we got confused which university we choose because all of them are very renowned names. Some of such names are IGNOU, Symbiosis, IMT, ICFAI, Sikkim Manipal University, Welingkar Institute, Amity University ect. To decrease your stress & give you some insights about those universities we're drafting this list. Below are the colleges that according to us will be the next big thing when it comes to distance education. Institute of Management & Technology, which is one of the most popular name among regular MBA program, located in Ghaziabad, offers one of the most award winning distance learning MBA program in India. The program has already been awarded as the #1 MBA course by DNA, Outlook, Zee News, Hindustan Times, Competition Success review, Suntec Singapore & Dankik Bhaskar. The institute offer 12 different post graduate diploma courses with a duration of 1 year & Two years in the field of management. If you're in north India & and has a IMT study centre near by you, this course could be the right choice for you. People living on a place where IMT doesn't has a study center can join it's fully online MBA course. Although many of magazine & news channels has not ranked IGNOU among top 3 universities in India but according to us, IGNOU deserve to be among top 3 distance learning Universities in India. IGNOU is world's largest open university & courses offerd by IGNOU are very popular in India. The distance education course offered by IGNOU is not only one of the most affordable distance learning MBA in India but also the curriculum & quality of the course is better than any of the other MBA course in the market. The best part of this course is that you'll find IGNOU study center almost every corner of India & abroad as well. 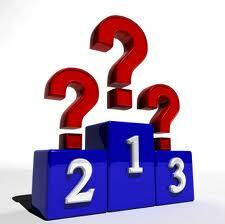 You might be expecting the same, the top 3 list can't be complete without symbiosis. The institute offer the most popular distance MBA India with study centre across India. Like IMT Ghaziabad, Symbiosis also won many of the prestigious awards from the reputed organization. Last year Symbiosis secured the 2nd position in DNA Indus Learning Survey. The institute offer 20 different post graduate, diploma and certification course through distance learning mode. The institute also provide placement assistant to some of its students. Since last many years Sikkim Manipal Distance Learning MBA is one of the most talked MBA course in India. Through its wider network of study center in India, SMU has become a reputed brand among the youth looking for admission into distance learning courses. SMU has a program for everyone, if you're a experienced candidate looking for a hike in your organization you may join it's Executive MBA program or if you can't join a class a Flexi MBA may serve your purpose. Sikkim Manipal University also offers sectorial MBA for Banking Professional. That means if you're thinking to join an MBA, SMU has one for you. Like IMT Ghaziabad, Welingkar is also a popular name for regular MBA course. But if you can't make it for a regular MBA, Welingkar institute also offer an Online MBA course for you. We've seen a altogether different approach of WeSchool towards distance education and that's the reason we've put this institute in the 5th Position. Last year WeSchool secured the 7th position in the top 10 list of DNA survey. Welingkar is continuously working towards improving it's quality of education & we're expecting a jump in raking in coming years. If you're in Mumbai & looking for a good institution, WeSchool could be the right choice for you. 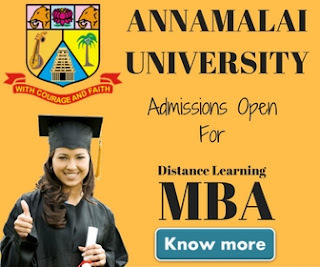 Apart from the institutions mentioned above NMIMS, Amity University, ICFAI, Annamalai University, Madras University, Pondicherry University are other popular institutions for distance MBA. The list is just to give you a reference about the popular colleges, we strongly recommend to do a proper research before joining a course for you. Do visit the study center and collect the information, after all your future is dependent on you this move. All the best.